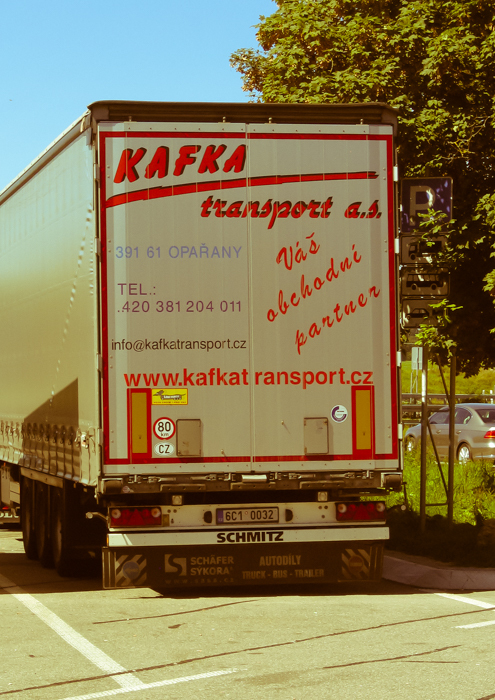 I wonder what Kafka-esque transport must be like: things start well, but owing to endless administrative awkwardness your stuff never actually gets there?! Can’t really say this is ‘photography’, per se, but just a bit of fun; a photograph of something seen. This was spotted at an autobahn rest area near Wangen Im Allgau in Baden Wurttemberg in southern Germany.